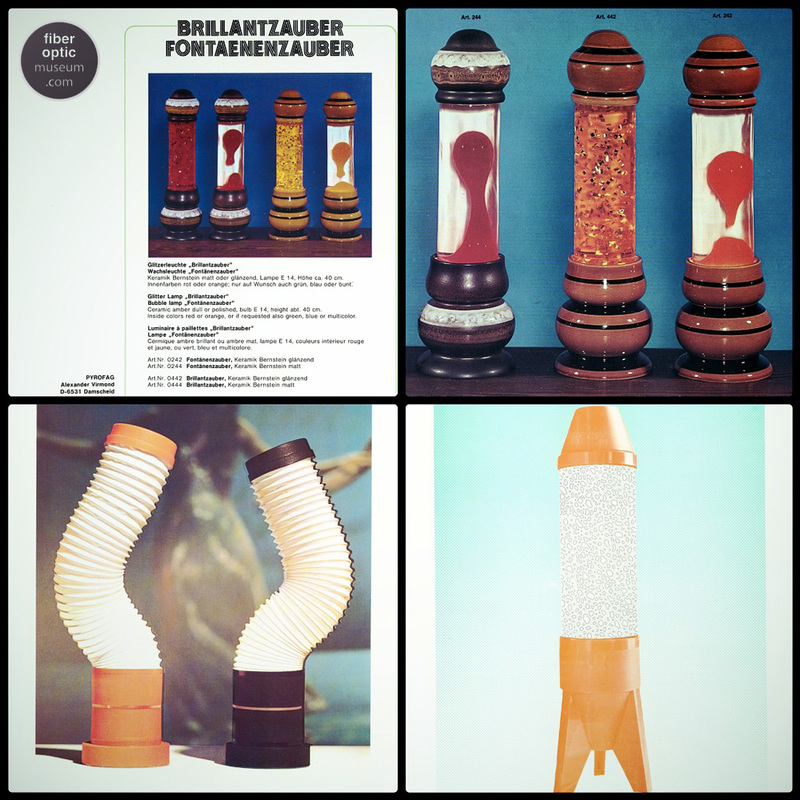 www.fiberopticmuseum.com | Photo Essay | PYROFAG Fibre Optic lamps designed and Manufactured in Western-Germany. With special thanks to Wilfried Virmond for the images and detail. 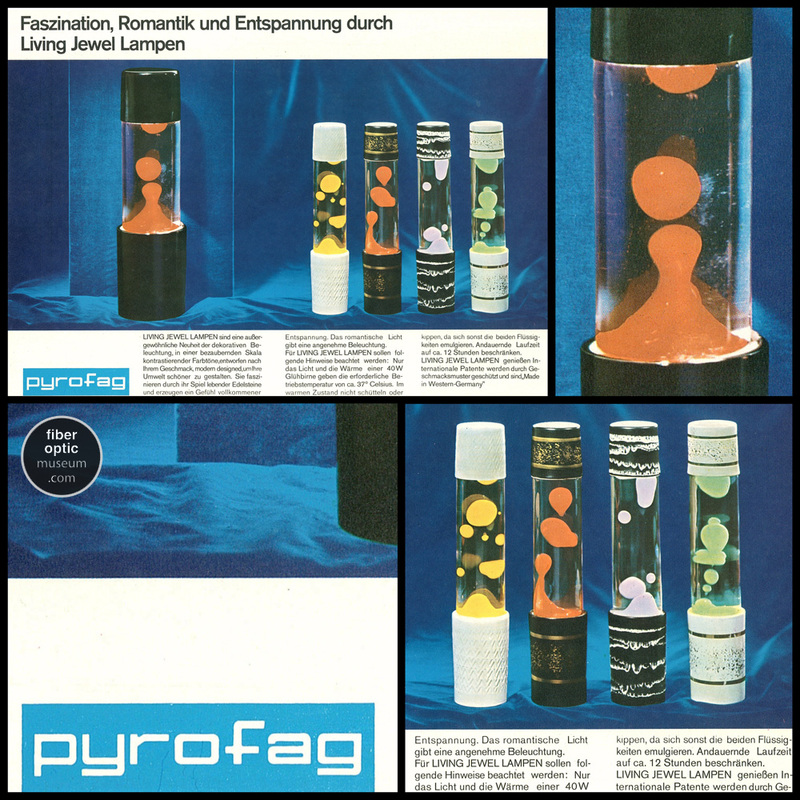 Below: PYROFAG designs - PYROFAG in the 1960s and 1970s was an importer and manufacturer of lava, glitter, rain and fiber optic lamps in Western-Germany. 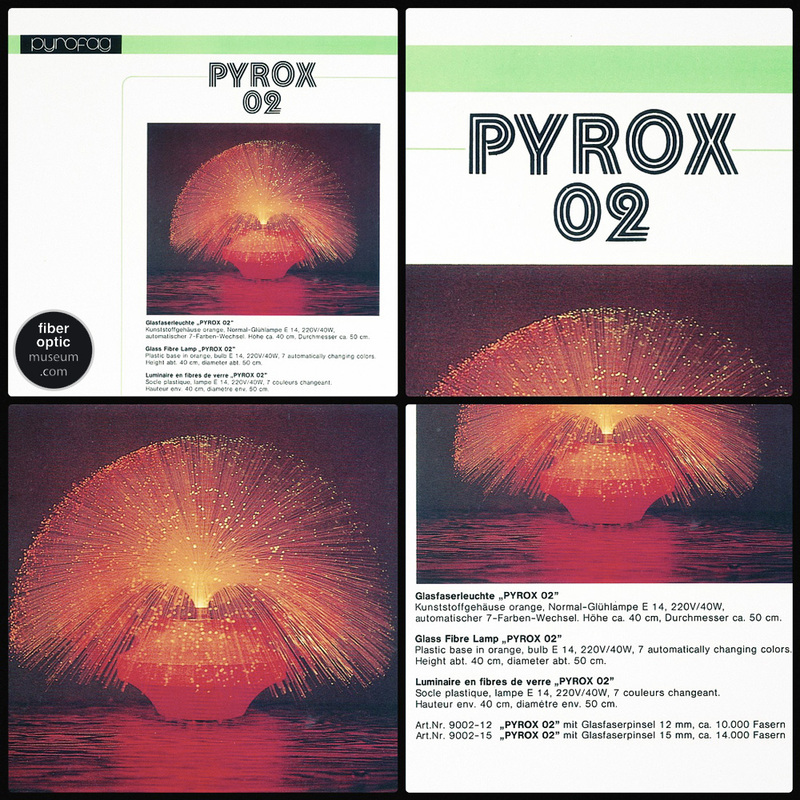 Originally manufacturing fireworks, PYROFAG also imported and distributed beautiful kinetic lighting. 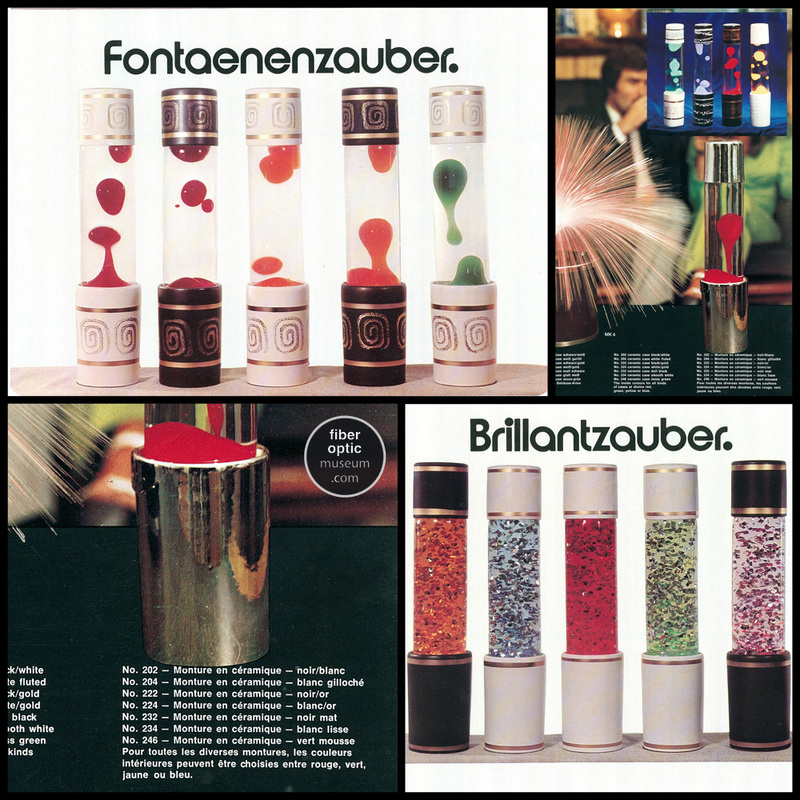 As demand decreased in the 1980s for kinetic lights, PYROFAG then diversified into the precious metal business. In 2010, PYROFAG was sold to new ownership, and exclusively deals in precious metals. PYROFAG imported and manufactured fibre optic lights and we at www.fiberopticmuseum.com are honoured to discuss the history of PYROFAG with Wilfried Virmond who ran the business whilst it was producing these beautiful lights. 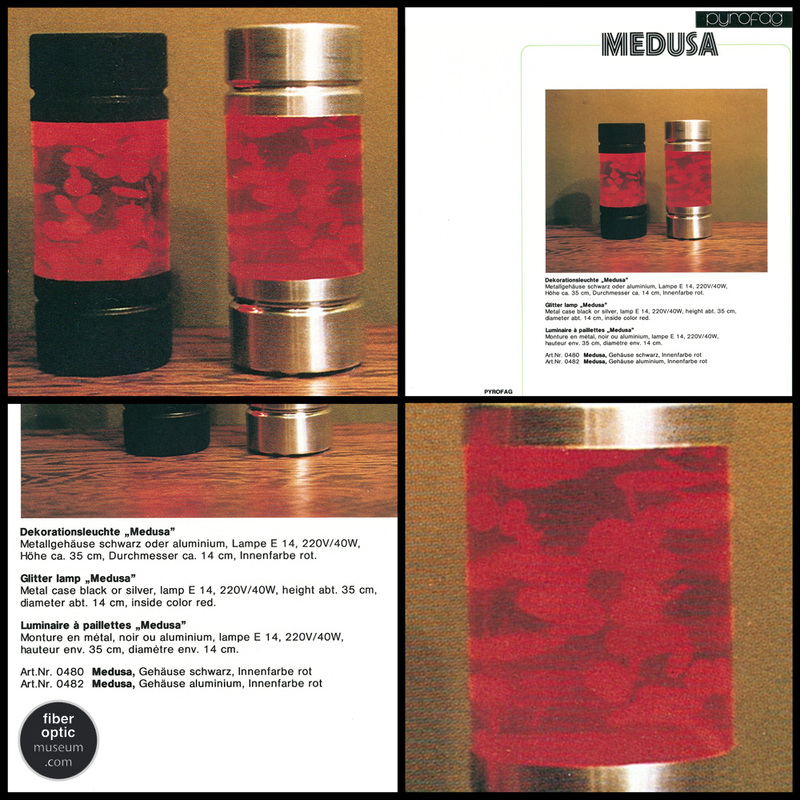 PYROFAG also sold and imported other designs from other companies such as Fantasia, Schott and even CIMA. 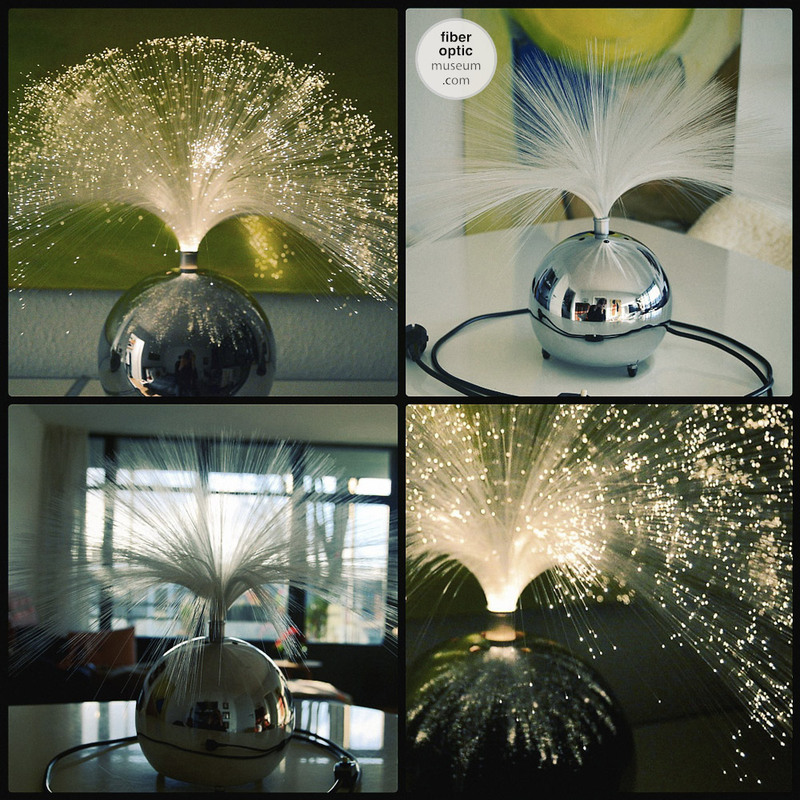 Their PYROX range of fibre optic lights are some of the most beautiful with high quality and attention to detail. 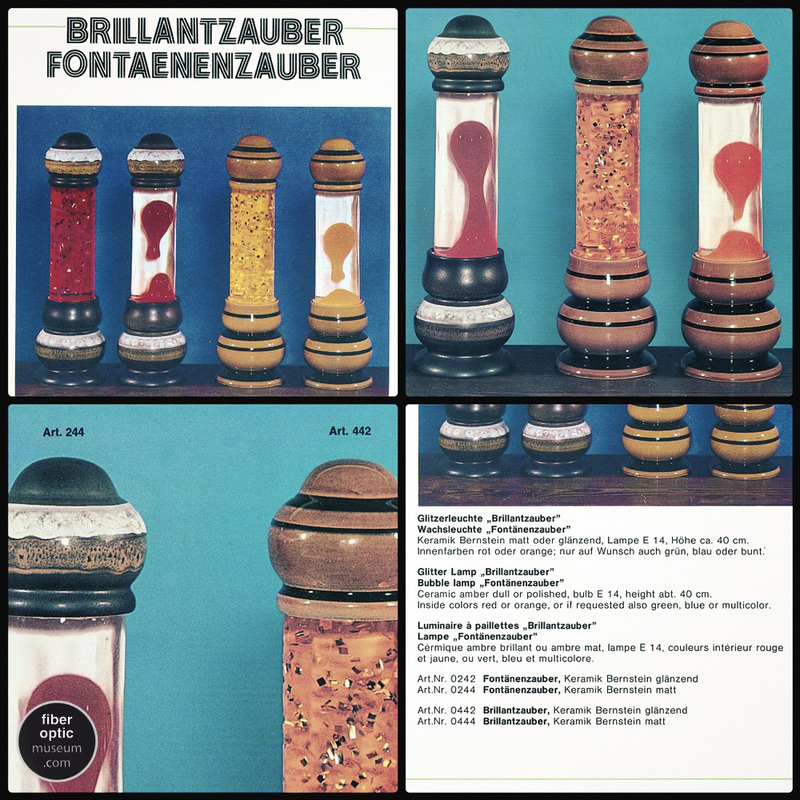 Our thanks to Wilfried R. Virmond for this wonderful information and insight into these lamps. 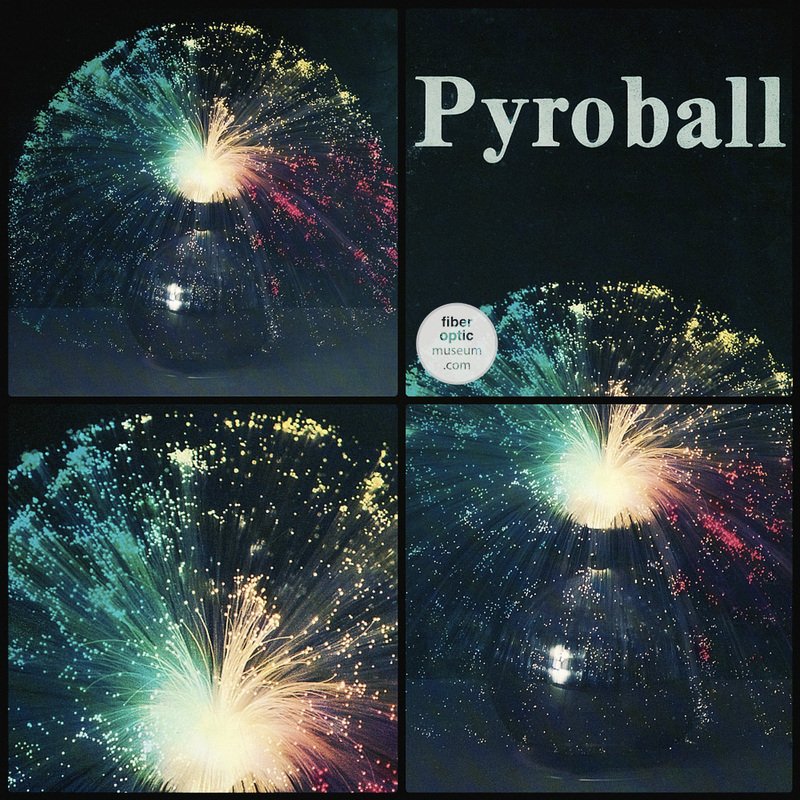 Perhaps the most popular design by PYROFAG designed in Germany is PYROBALL, which presents a high quality glass fiber optic lamp, manufactured in Germany. 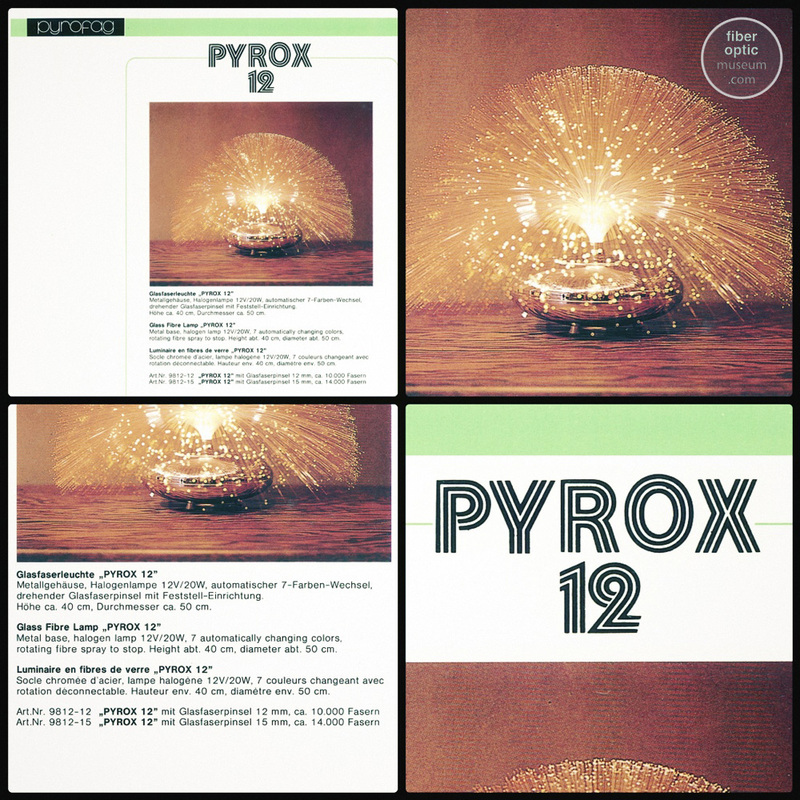 Known designs by PYROFAG include PYROX 02, PYROX 18, PYROX 32, PYROBALL. 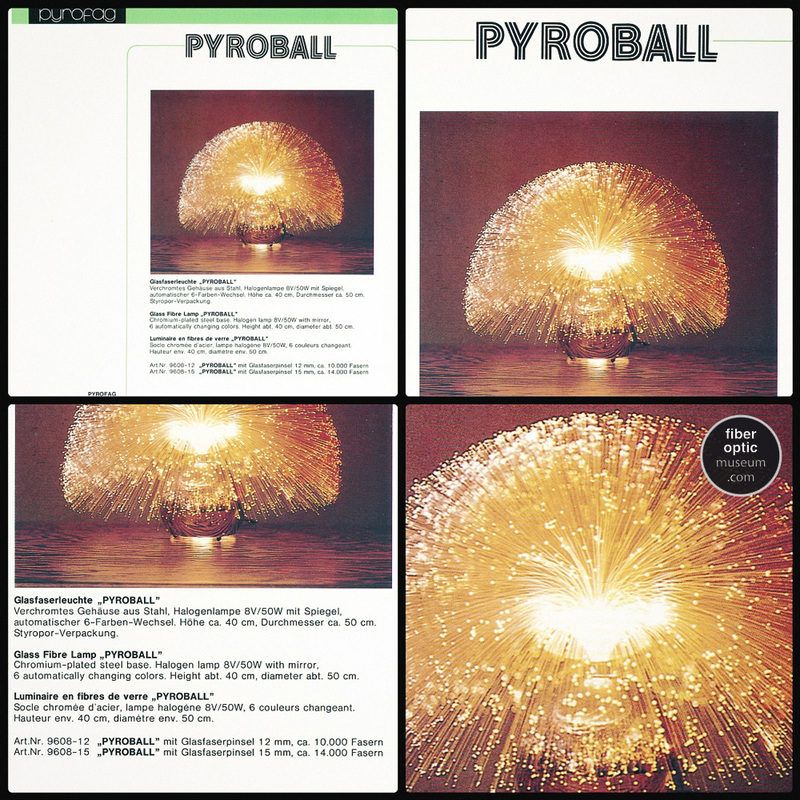 PYROBALL featured options to purchase with either a 10,000 or 14,000 optical fibre spray. 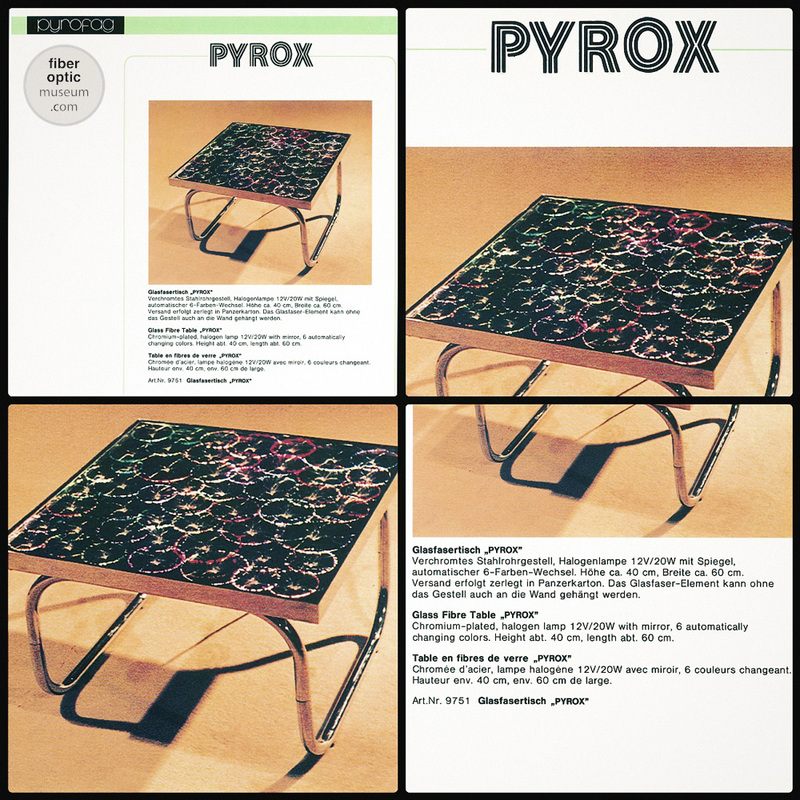 PYROX - A stunning fibre optic panel table featuring a snazzy chrome-plated finish and powered by a 12w/20w bulb, automatic colour-changing with 6 colours. Height about 40cm and length about 60 cm. PYROX 02 - Orange Plastic Base SES E14 Bulb 220v/40w, 7 automatic changing colours, Height about 40cm and diameter with spray 50cm. Two options: 10,000 or 14,000 spray options. We love the orange base. 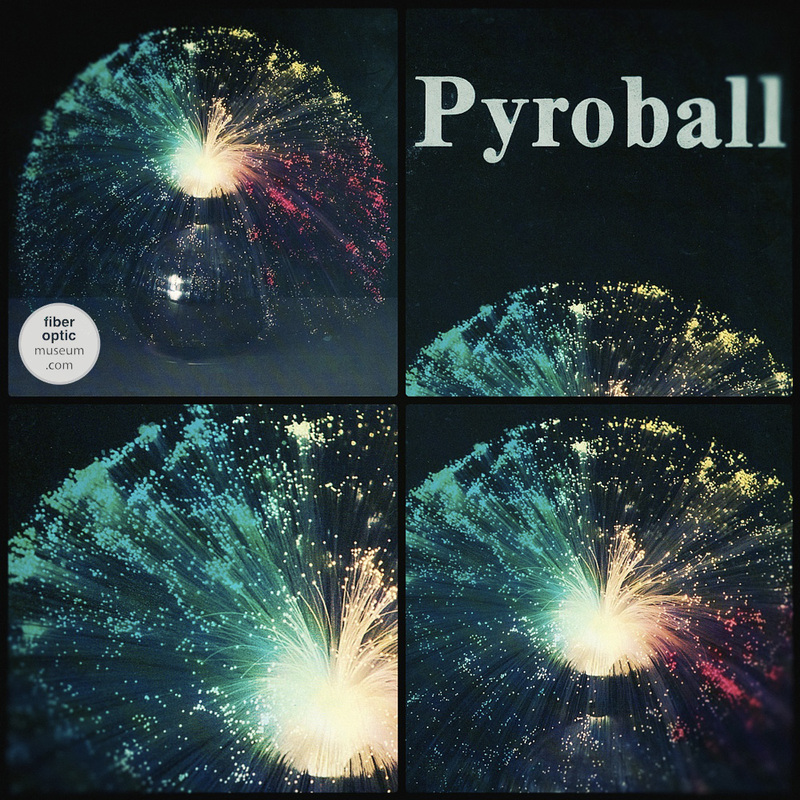 PYROBALL - Metal Base - Sphere chrome plated base design - Static Spray - 6 colours on wheel with automatic colour changing. Height 40cm Diameter 50cm (Image below) Options for this design include gold and black base options. Images are the kind courtesy of Wilfried Virmond. 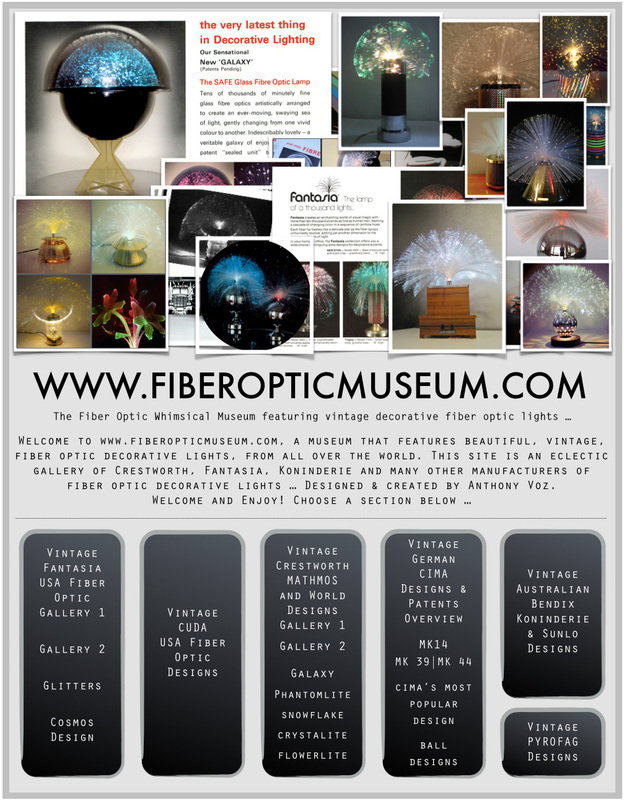 www.fiberopticmuseum.com | Photo Essay | Below: PYROFAG PYROX Table Fibre Optic light design. 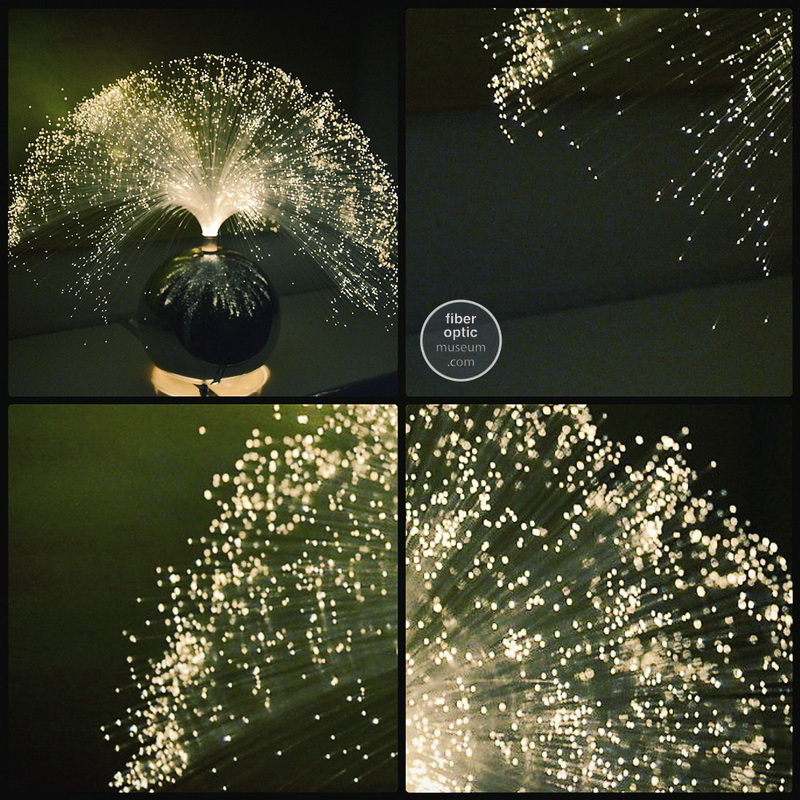 www.fiberopticmuseum.com | Photo Essay | Below: PYROFAG PYROX 02 Fibre Optic light design. PYROX 02 - Orange Plastic Base SES E14 Bulb 220v/40w, 7 automatic changing colours, Height abt 40cm and diameter with spray 50cm. Two options: 10,000 or 14,000 spray options. We love the orange base. 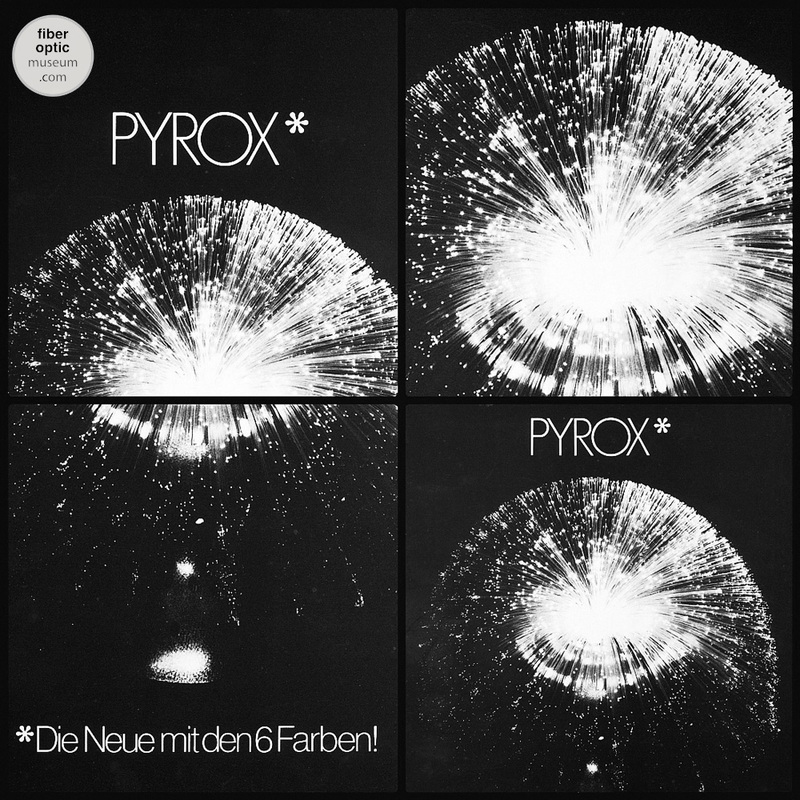 www.fiberopticmuseum.com | Photo Essay | Below: PYROFAG PYROX 12 Fibre Optic light design. PYROX - A stunning fibre optic table lamp and powered by a 12w/20w bulb, automatic colour-changing with 7 colours. Height about 40cm and diameter about 50 cm. 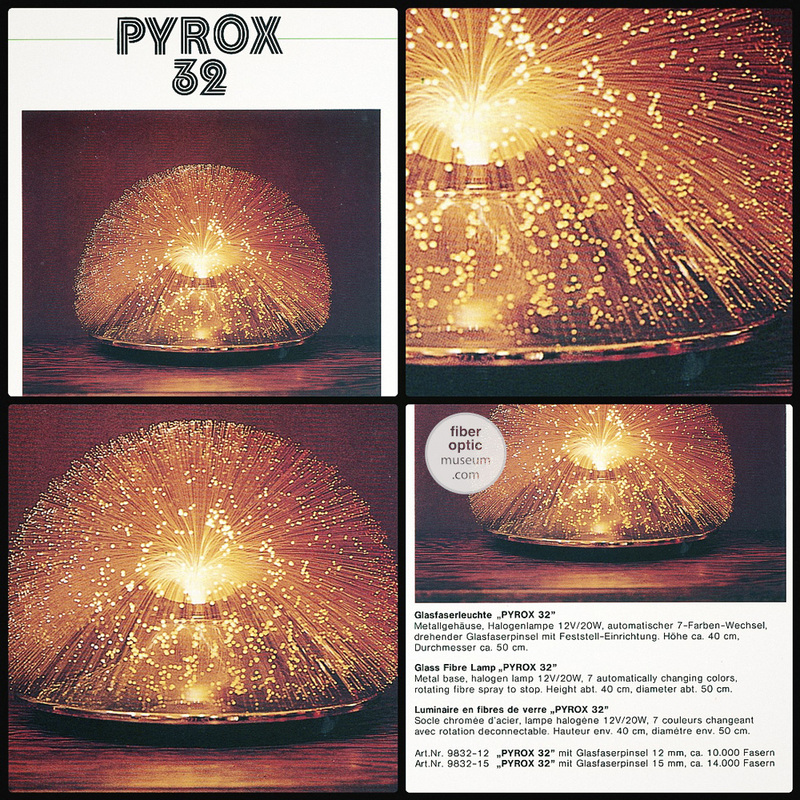 www.fiberopticmuseum.com | Photo Essay | Below: PYROFAG PYROX 32 Fibre Optic light design. 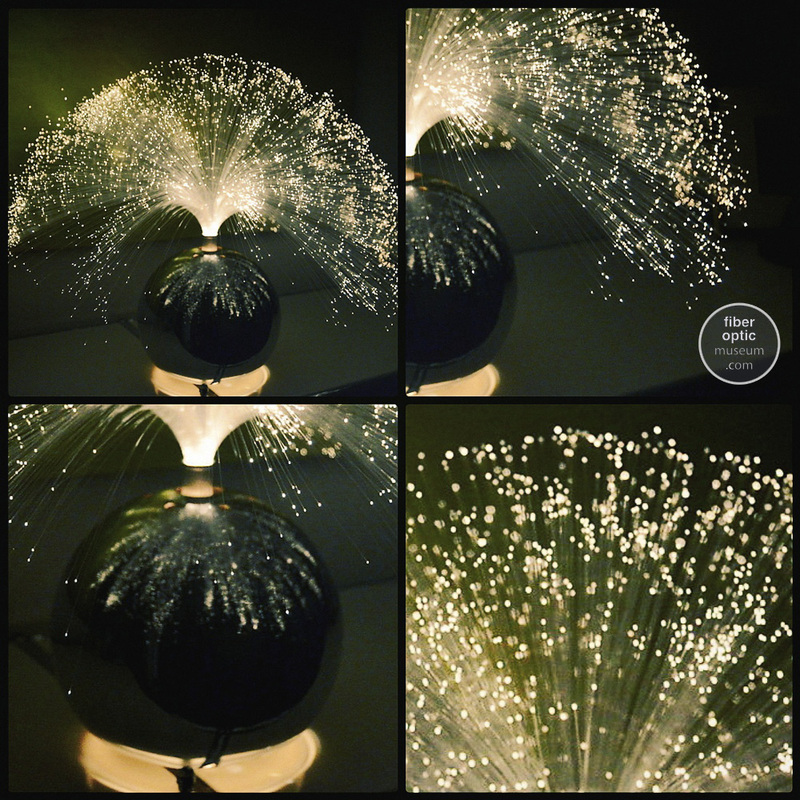 www.fiberopticmuseum.com | Photo Essay | Below: PYROFAG PYROBALL Fibre Optic light design. 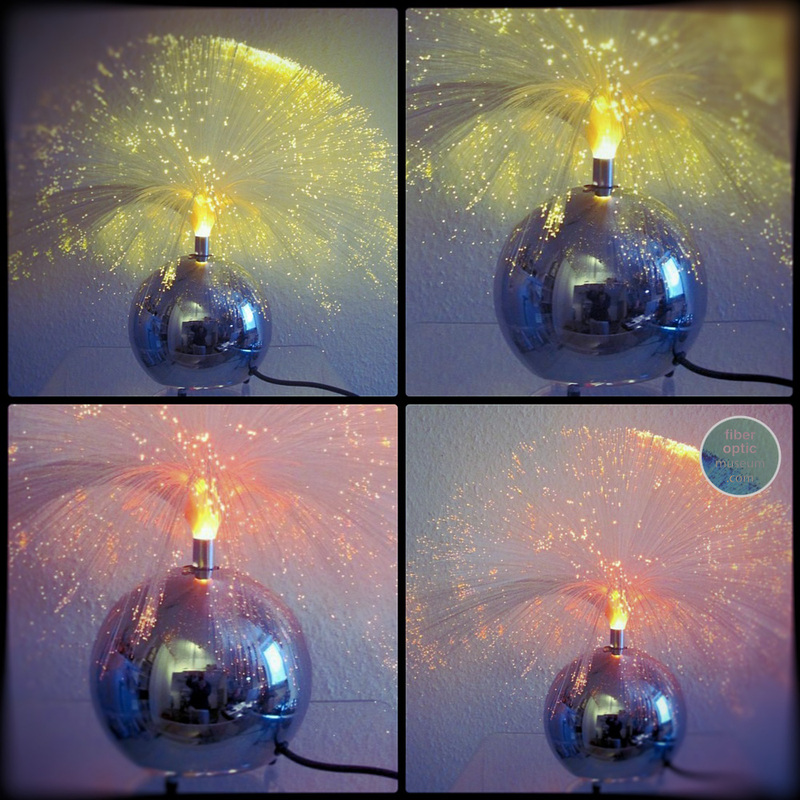 PYROBALL - Metal Base - Sphere chrome plated base design - Static Spray - 6 colours on wheel with automatic colour changing. Height 40cm Diameter 50cm (Images below) Options for this design include gold and black base options. 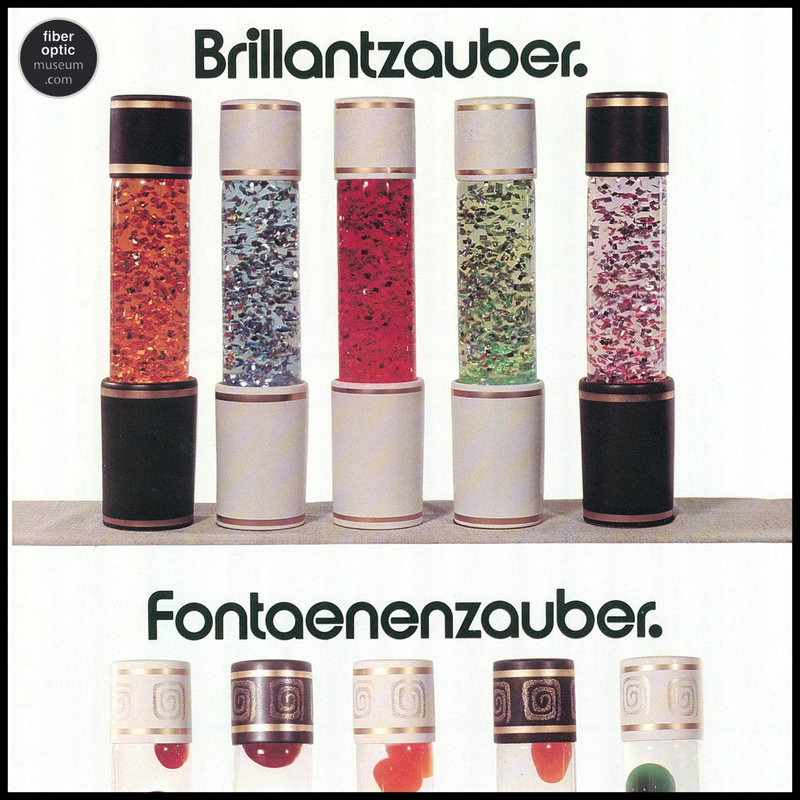 PYROBALL was also manufactured by: Sauer KG and Weschka-Leuchten. 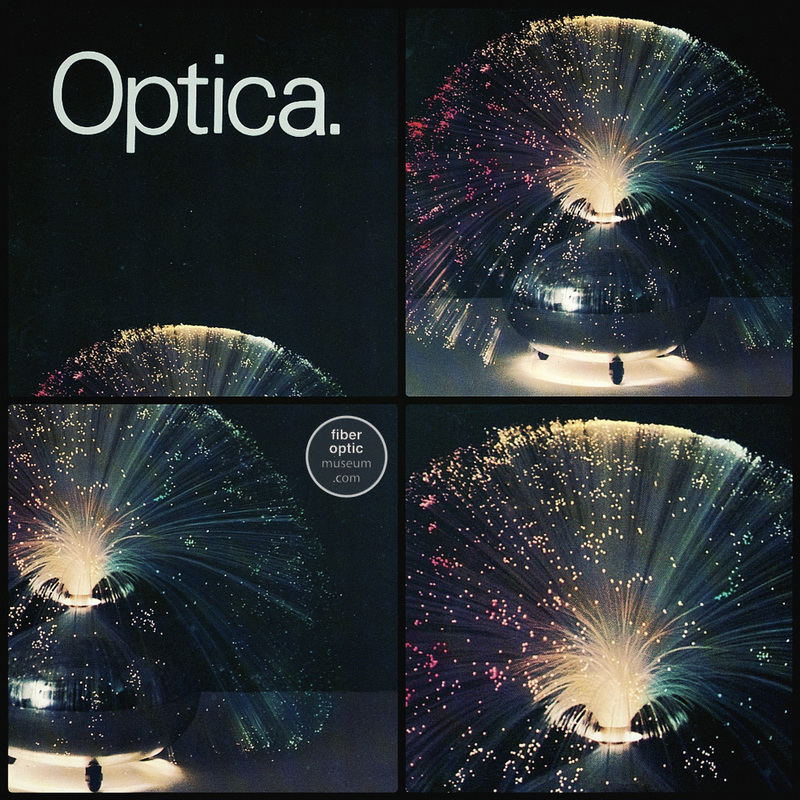 www.fiberopticmuseum.com | Photo Essay | Below: PYROFAG Optica Fibre Optic light design. 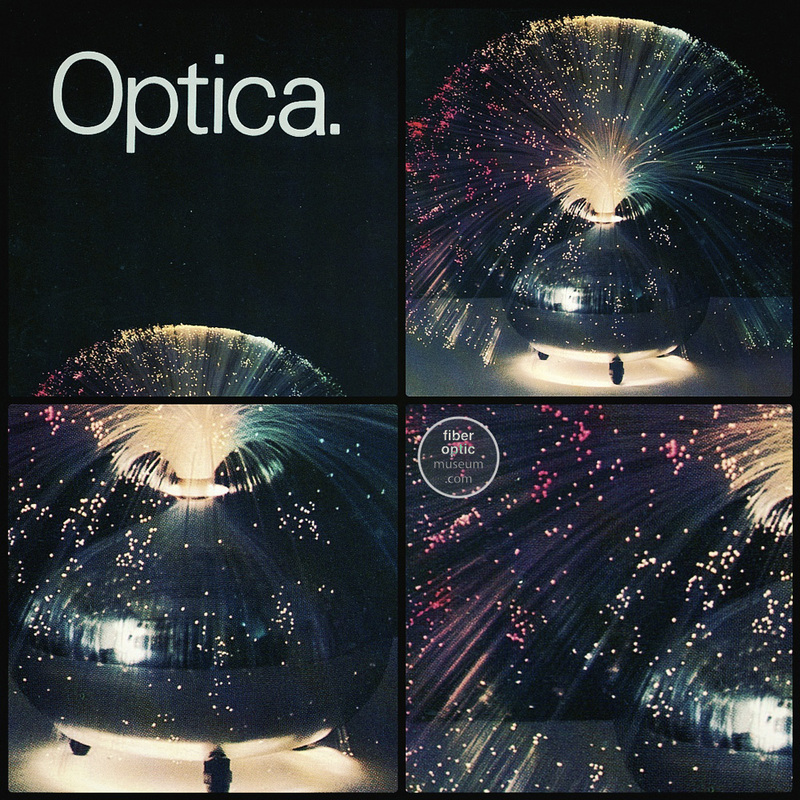 Optica - Metal Base - Oval metallic base design with glass fibre optics. This beautiful design which is aesthetically similar to the PYROBALL, however features an oval shaped base. Exclusively manufactured by PYROFAG. 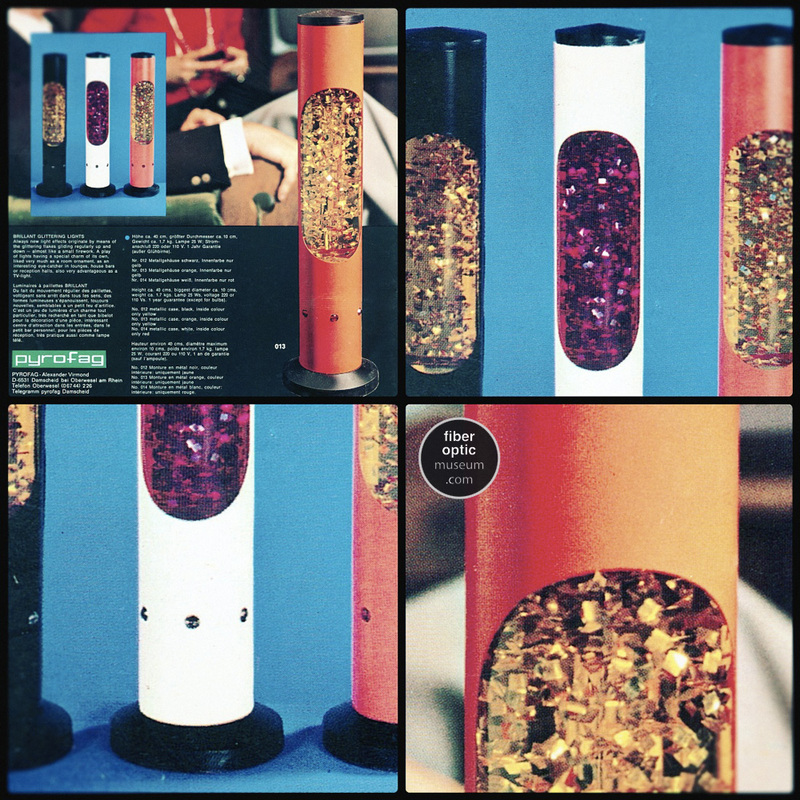 One of the most intriguing lava and glitter lamp designs were those imported and manufactured by PYROFAG. 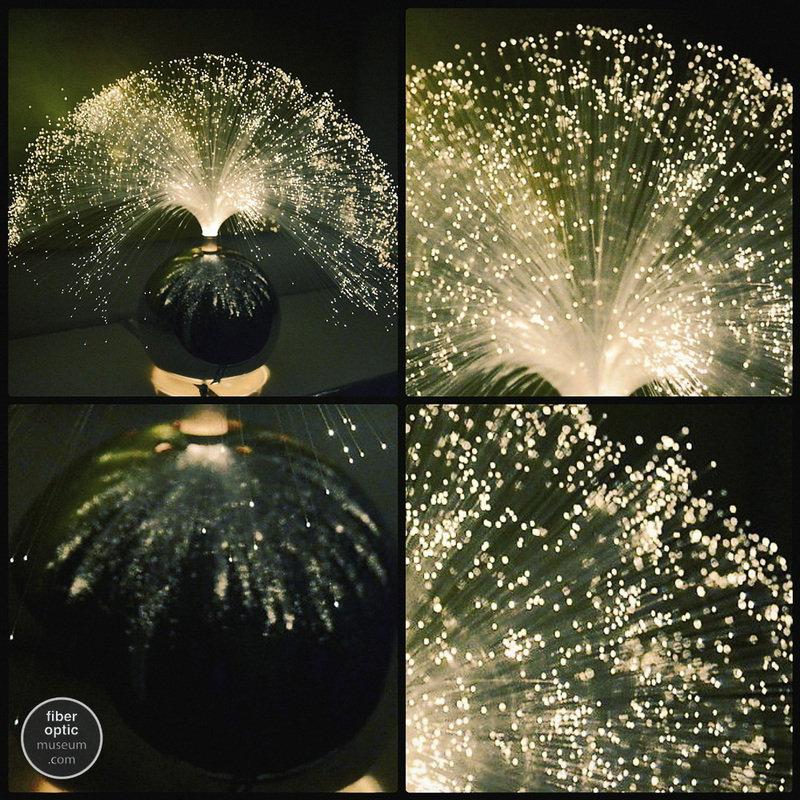 PYROFAG imported and subsequently manufactured lava, glitter and fiber optic lamps. 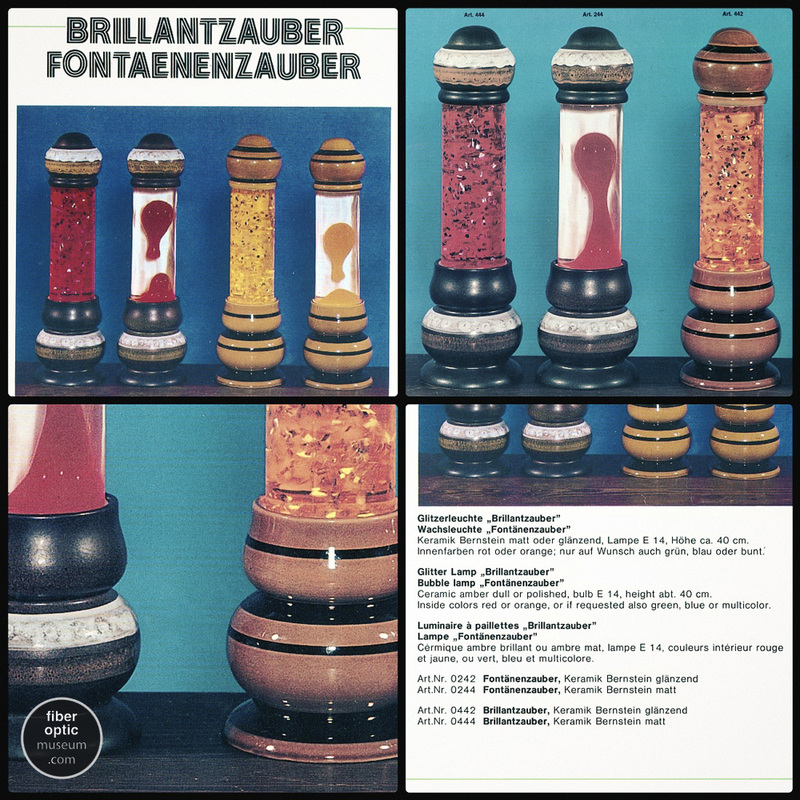 Some of their most distinctive designs are their lava and glitter lamps which feature ceramic bases and caps, which echo the beautiful of pottery of that era in Western-Germany. We love the ceramic designs below. PYROFAG also created metal glitter lamps and one of our favourite designs can be seen below which features a beautiful window cutout design that frames the glitter bottle with translucent circles dots around the base. Enjoy the images below.